We really liked to have a rest in Gabriel Houses, the owner Thanasis was very timeless and pleasant. Luxurious apartment with swimming pool and everything you need. I advise everyone! The host Thanasis was the most friendly guy! He greeted us right away and helped make our stay so enjoyable. 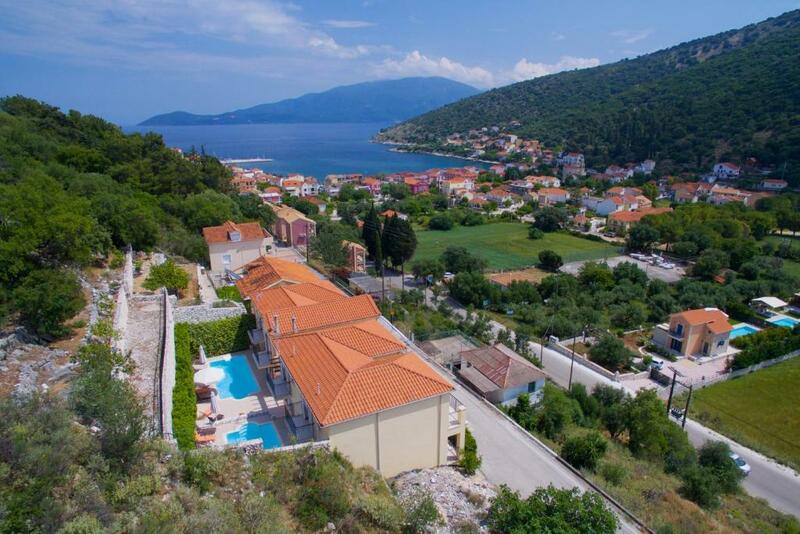 A very short walk down to the water, and the villa has its own pool as well. The house was so clean and even provided water in the fridge. Such a great stay! The owners were extremely helpful, friendly and couldn’t do enough to help. We had ample towels, sheets which were changed regularly. They really made us feel welcome. I would highly recommend! We were greeted on arrival by the owner Thanasis who was extremely helpful throughout our stay. The house was beautiful, immaculately clean and very well equipped with quality appliances.....crockery & glassware was of a lovely standard and plenty of it. The pool is shared between 2 houses but this was not a problem it was very quiet and we enjoyed relaxing times around the pool. We had an amazing holiday at Gabriel houses and so much so we have already booked them for summer 2019 next year. 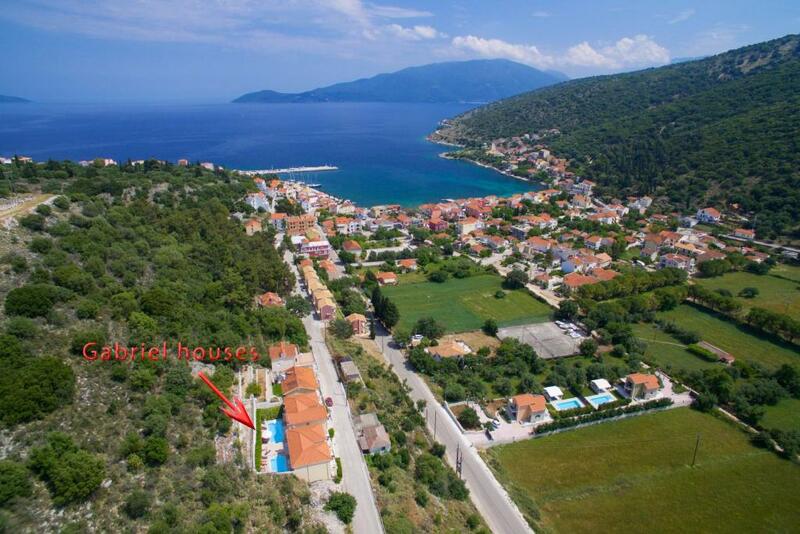 Fantastic villa with very modern amenities. Thanasis is a lovely man and is always around to help if you need to speak to him. The pool area is gorgeous and so nice to come back to after days out. Would come back in a heartbeat. Absolutely everything! Semi-detached house, with own private entry, and fabulous views from the lounge balcony. Semi-private pool, although we had it to ourselves pretty much all the time. Location was a 5-6 minute walk from Agia Efimia, with it's good range of tavernas', and shops. Thanasis was the perfect host, and nothing was too much trouble for him. Highly recommended. If you holiday in Agia Efimia, stay here! Lock in a great price for Gabriel Houses – rated 9.5 by recent guests! 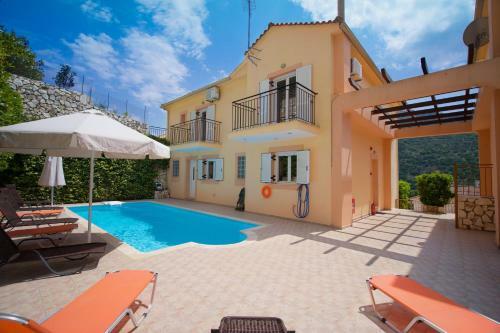 One of our top picks in Agia Effimia.Located in Agia Efimia, Gabriel Houses features an outdoor pool and offers spacious villas with a fully equipped kitchen and private balconies overlooking the Ionian Sea. Free WiFi throughout is available. Gabriel villas will provide you with a flat-screen TV and air conditioning. The kitchen comes with an oven, microwave and fridge, while there is also a living room and a dining area. A hairdryer can be found in the bathroom. Within 650 feet from the property, you will find shops, cafes and restaurants. Sami Port is 5 mi away. 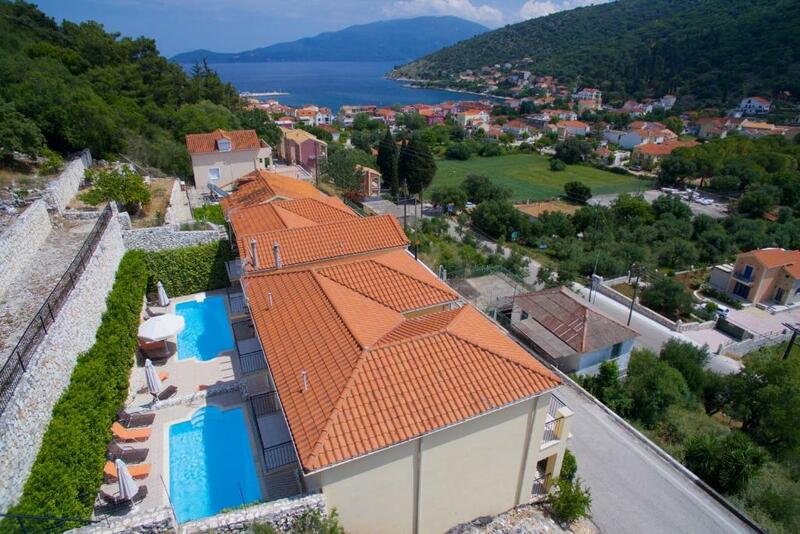 This is our guests' favorite part of Agia Effimia, according to independent reviews. 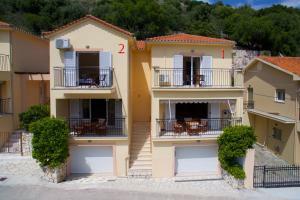 This property is also rated for the best value in Agia Effimia! Guests are getting more for their money when compared to other properties in this city. 뀐 Located in the top-rated area in Agia Effimia, this property has an excellent location score of 9.3! When would you like to stay at Gabriel Houses? 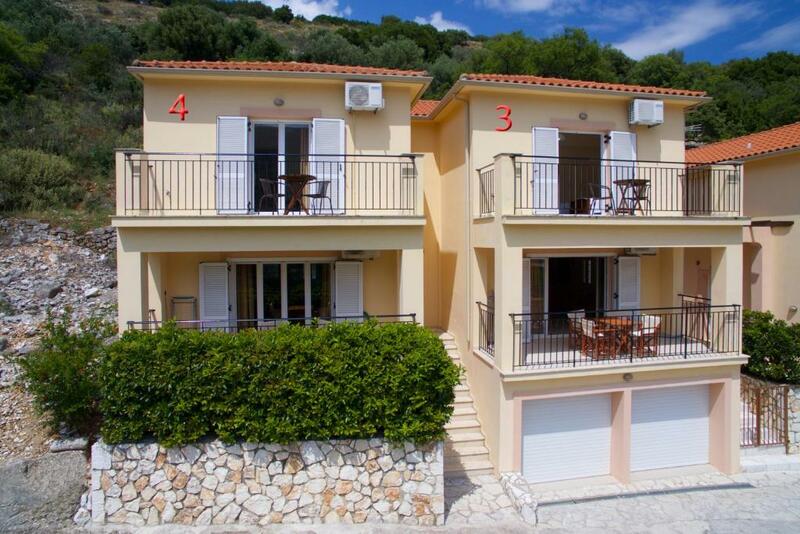 Features a fully equipped kitchen, spacious living room and dining area, and opens out to a balcony overlooking the pool and the Ionian Sea. Please note that cleaning service and change of bed linen and towels are provided every 3 or 4 days. Pool towels are provided once per week. Guests have access to a shared pool. Please note that cleaning service and change of bed linen and towels are provided every 3 or 4 days. Pool towels are provided once per week. House Rules Gabriel Houses takes special requests – add in the next step! Gabriel Houses accepts these cards and reserves the right to temporarily hold an amount prior to arrival. Please inform Gabriel Houses of your expected arrival time in advance. You can use the Special Requests box when booking, or contact the property directly using the contact details in your confirmation. a few more utensils in the kitchen. very comfortable met all are expectations owner very hospitable. Not being able to have more than one key as key also controlled electricity. Quite a long way from airport (50 mins drive/€70), wi-fi signal very weak. House was very well equipped. Daily cleaning. Top service from our hosts. Very nice people. Very close to an excellent taverna. Market nearby as well. Wifi not the best but good enough to get information. Having a pool at the end of the day. It was easy walking to shops and restaurants. Very clean and comfortable.